Four years have passed since the giant earthquake of March 2011 and the subsequent nuclear accident. Recovery from the nuclear accident, including the treatment of contaminated water, is only advancing little by little. Work has been undertaken to decontaminate the environment of radioactive materials diffused by the accident in Fukushima Prefecture and surrounding areas, and construction is finally progressing of an interim storage facility for waste generated from that work. The year 2015 will mark a watershed — the restart of nuclear power plants (NPPs) in Japan, all of which were shut down after the accident. Over the long term, however, a national consensus does not exist in Japan for continue using nuclear energy. According to opinion polls, some 80% of respondents are against nuclear power, or are at least for a retreat from dependence on it. There is recognition of the practical necessity of restarting NPPs at the moment, but also of the need for a society not dependent on nuclear energy. This is the national consensus — including that within the two-party ruling coalition. Engineers and, indeed, all parties involved in nuclear development regret Fukushima Daiichi accident deeply, yet truly believe humanity cannot do without nuclear energy. The social environment now is vastly different from when Japan began nuclear development in the mid-1950s. Public support is essential for Japan to continue its use of nuclear energy, and complex analyses are necessary to get people to do that. To that end, though, we need to sort out the logic of entangled arguments about nuclear energy, as the entire picture is huge. In this article, I will take up some of the subjects involved. Japan’s purpose in developing nuclear energy is to secure peace and prosperity. In the history of human civilization, energy has been the foundation of national existence. In the age of fossil fuels, there were wars over coal and oil. Japan obtained coal and iron in Manchuria (currently Northeast China), said to be Japan’s lifeline. Before World War II, there were various kinds of friction between Japan and the United States. The U.S. embargo on the export of oil to Japan was like an ultimatum to the Japanese navy. In World War II, Germany advanced toward the Baku oilfield in Russia, while Japan headed to the oil wells in Indonesia. In the final stage of the war, countless people were sacrificed in the atomic bombings. The Sino-Japanese War had been fought over natural resources in Manchuria, especially coal, while oil sparked the Pacific War. More recently, China has been claiming territorial rights over the Senkaku Islands southwest of Okinawa, since the potential of its oil reserves has become evident. Oil money funds Arab terrorists now. Japan and the world must develop new energy sources and minimize dependence on oil and natural gas — for peace. 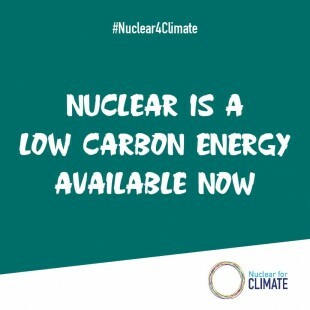 Needless to say, preventing carbon-dioxide emissions is part of the mission of nuclear energy. Although there is no choice at the moment but to depend on oil and natural gas, it is important to aim for the realization of a low-carbon society free from oil dependence as soon as possible. Water can be broken down into oxygen and hydrogen with an energy source, so a hydrogen-fueled society can be realized. The possible energy sources that can replace fossil fuels, such as oil, are nuclear energy and renewable energies. Nuclear energy is excellent as a power source backup for renewable energies, whose output fluctuates significantly. The root of Japan’s nuclear development is the Atomic Energy Basic Law, passed in 1955. The nonpartisan law was enacted after having been introduced by both the Socialist Party of Japan (a combination of leftist and rightist socialist parties) and the Liberal Democratic Party (LDP), a combination of the Liberal Party and the Democratic Party of Japan. Japan’s nuclear development program was launched under the so-called “1955 system,” referring to the country’s political arrangement at the time. Japan’s nuclear development thus began by the Diet — the elected representatives of the people — rather than the government. The enactment of the Atomic Energy Basic Law represented a novel method of political policy implementation. The greatest concern, when the law was enacted, was to prevent nuclear energy from being used for military purposes. To that end, its provisions have incorporated the principles of independence, democracy, openness and international cooperation. Obviously, the framers of a law serving as the foundation for developing nuclear energy did not contemplate the possibility of giving it up someday. Even if the government adopted a policy of withdrawing from nuclear use, insofar as the Atomic Energy Basic Law exists, the principle of using nuclear energy would remain national policy. Political parties, media, and others opposed to nuclear energy or advocating abandonment of nuclear power would have to make clear to the public about what should be done with the Atomic Energy Basic Law. The Japan Federation of Bar Associations, for example, wants the law repealed. Those holding such views should be reminded that Japan’s Atomic Energy Basic Law is the country’s law that also bans the military use of nuclear energy. If the law is repealed, there would consequently be no ban on the use of nuclear energy for military purposes. Japan’s peaceful use of nuclear energy and its renunciation of nuclear weapons are two sides of the same coin. Furthermore, if the Atomic Energy Basic Law were no longer there, there might be no significant national support for it although nuclear research itself would continue. Nor would there be limits or restrictions on what it could create. To prevent that situation, a law would be necessary to prevent research on nuclear energy and radiation. The mere suggestion of such a law is practically a joke. I want everyone opposed to nuclear power to think about that. Missing from the judgment, I am afraid, is the awareness that a secure supply of energy is a central tenet of personal rights in the modern world. The Fukui District Court judgment overlooks the fact that energy is a precondition for a cultured life, and that there is tremendous risks and uncertainties involved in securing energy sources. If the electricity business were considered only in terms of the freedom of economic activity, it would be as if an official endorsement had let electric power companies off the hook, for example, to restore electricity after it had been cut off — because of the “freedom” of their economic activity. For people to be able to enjoy fulfilling, healthy lives, the power companies must strive to overcome difficulties so as to secure supplies of oil, natural gas and coal. Aware both of CO2 emissions and the dangers of worsening global warming, they nevertheless supply electricity. Feed-in tariff (FiT) systems have been introduced to accelerate the use of renewable-energy sources. That may be due to the public nature of electricity supply and the significance of CO2 reduction, rather than a result of free competition. If the electric power business is seen just from the viewpoint of freedom of economic activity, however, why do we look at FiT systems for renewable energy and similar things? If the electricity supply had the same level of freedom as choosing an occupation, and anyone could freely generate power and sell it, I wonder if a country could even function. At a press conference at the Foreign Correspondents’ Club of Japan, Chairman Kiyoshi Kurokawa said the main causes of the Fukushima accident were structural problems in Japanese society, the government, TEPCO and Japanese culture. His view on “Japanese culture,” expressed to the international community, includes the phrase of “bad” technology, pointing to a vulnerability of modern Japanese industry. The Nuclear Regulation Authority (NRA) was formed after the accident, modifying the government’s nuclear-related framework. TEPCO was virtually nationalized. Its organization, too, changed in response Fukushima. Whether this is sufficient or not remains to be seen, but the organization in question is in transition. What about Japanese culture, and what should be done about it? Is a “Great Cultural Revolution” needed in Japan, just as China had in the 1960s under the Communist Party? It’s difficult for me to take “blaming culture” seriously. The Diet investigative commission was established by the Diet, which is Japan’s top decision-making body. Is the Diet within Japanese culture, or outside of it? In any case, what was pointed out by the investigative commission — “opaque organizations and institutions” and “avoidance of responsibilities” — brings us to the most important point in revitalizing nuclear energy: who takes responsibility? At the press conference, a foreign correspondent asked about the Onagawa Nuclear Power Station (NPS), which had managed to withstand the earthquake and tsunami. Kurokawa answered simply that Onagawa had been very lucky. The reason it could withstand the tsunami is quite important from a nuclear safety viewpoint. It seems that the mission of the investigative commission, however, was to investigate the accident-stricken NPS, and not to look too closely at one that didn’t. Sometime after the Fukushima Daiichi accident, it became clear why the Onagawa NPS was able to withstand the tsunami. According to Ms. Yoshiko Sakurai (a famous journalist), the Tohoku Electric Power Co., the operator of the NPS, had consulted eminent outside authorities in the fields of civil engineering, seismology, geophysics and more prior to construction of the station, and established a committee to decide the height of the site. The committee looked not only at the famous Sanriku tsunami of 1896 and the Chilean tsunami of 1960, but even the Keicho tsunami of 1611 and the Jogan tsunami of 869, the last occurring more than a thousand years ago. The geophysicists were particularly adamant that the committee consider the Jogan tsunami, referring to records and oral traditions (the tale of the Namiwake Shrine) citing records of a boat stuck in a pine tree in Iwanuma, for example. The committee eventually agreed that the structure of the Onagawa NPS should be built at least 15m above sea level, and top management ordered construction accordingly. It is worth noting that there was an advanced earthquake research center at Tohoku University providing academic support to Tohoku Electric Power. The firm then established a committee composed of Japan’s leading experts, meaning that its conclusions could be sufficiently accepted by society. The nuclear industry was surely aware of, and interested in, those judgments at that time. Given that the proximity of the Fukushima Daiichi NPS to the Onagawa NPS, and the unprecedented decision to build the facility 15m above sea level as a tsunami measure, it could be expected that Tohoku Electric Power would face a difficult situation. Yet it built the station on sufficiently high ground, spending more to do so, contrary to the industry practice of doing what had been done before. It was the decision of a management team capable of making proper judgments. In the wake of the earthquake and tsunami, the Onagawa NPS achieved cold shutdown although there were some problems. It even served as an evacuation shelter for residents of the area around the station. Tohoku Electric Power has never spoken out to the public, however, about why its station was safe. When I asked the power company why no statement had been made, the response I received was that the people of Fukushima Prefecture, suffering from the nuclear disaster, were its customers. Thus, the firm felt it difficult to say openly “ours was safe,” thinking of their feelings. Later, a report by the International Atomic Energy Agency (IAEA), referring to the Onagawa NPS, the earthquake and tsunami, said, “The nuclear plants were remarkably durable and undamaged. The equipment demonstrated their required functions.” The Onagawa NPS is a successful example of technology that Japan can be proud of. It is unfortunate that it took a foreign organization to recognize that. 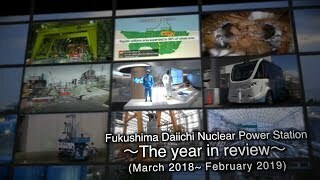 At the end of 2013, almost two years after the accident, my students and I surveyed public awareness and sentiments on nuclear power and energy issues. We randomly picked names from among the public in Ota City (Tokyo), an energy-consuming area, and in Kashiwazaki City, Kariwa Village and Tsuruga City, all of which host NPPs, and mailed questionnaires by post. In both the power-consuming and plant-hosting areas, 25% of the respondents supported the immediate suspension or abolishment of nuclear power. Another 15% said that it should be abolished by 2030, while 40% wanted it to be phased out. Only 7% wanted it to be maintained at the level before the earthquake, while another 7% said that nuclear power should be increased, but with safety improvements. Overall, then, about 80% of the respondents wanted nuclear power to be stopped, while a combined 14-15% wanted it maintained or increased. That was consistent both across Ota City and the siting areas, and is assumed to be the general view nationwide. When asked whether or not to restart those NPPs whose safety is recognized by NRA, 40% of the respondents in both Ota City and the hosting areas were against restarting them, while 35% were for it, and 25% not sure. That is, their views were split. The results were then correlated with results of the Tokyo gubernatorial election two months later. Using the percentage of votes gained by candidates in Ota City (figures in parenthesis are Tokyo totals). Kenji Utsunomiya got 19.4% (20.2%) and Morihiro Hosokawa 18.1% (19.6%), both of whom unequivocally advocated weaning Japan off its dependence on nuclear power. The combined total of the two matches the percentage of those who were actively against nuclear power in our survey — which may, of course, be just a coincidence. Meanwhile, Toshio Tamogami, who actively supported use of nuclear energy, got 13.7% (12.5%), almost equal to the percentage of those who want to actively maintain or expand nuclear power. And Yoichi Masuzoe, the eventual winner of the election, got 43.4% (44.8%), which is the same as the figure of those who support reducing dependence on nuclear energy gradually. People in Tokyo do not consider nuclear power to be the biggest issue, to the extent that they would choose their governor just to stop nuclear power. The majority of voters, however, think that nuclear energy will eventually disappear someday. It will be interesting to see how the distribution of public opinion will change. People in all areas have strong preferences as to energy sources, and one question was to that effect. People in Ota City and the hosting areas all prefer natural gas first, and electricity using natural and renewable energies second, even if it is more expensive. Their third choice was nuclear energy. There was almost no support for coal, even if it is cheap. In comparison with renewable energies and natural gas, nuclear energy is overwhelmingly unpopular — but still more popular than coal. Thus, if consumers could choose their power source, there might, unexpectedly, be some who would choose nuclear power. For an NPP to be restarted, it has to be certified as passing the safety examination of NRA, making it the first hurdle in restarting any NPP. The future keys will be a strategy to get people in hosting areas to accept nuclear energy and become prosperous communities, along with a strategy to get consumers who accept nuclear energy, given the progress in the deregulation of the electric power supply. In conclusion, let me introduce a passage that eloquently expresses the feelings of those engaged in nuclear energy in Japan. 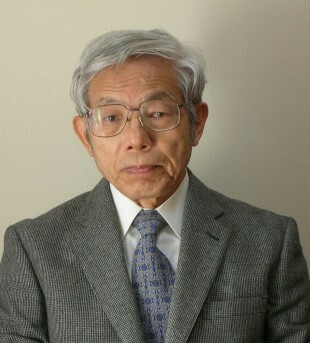 Takashi Nagai, M.D. in the “Atomic Bomb Rescue and Relief Report,” wrote the following at the end of the Conclusion, Chapter 10, of the Report on Activities of the 11th Medical Corps of the Nagasaki Medical University. Everything was finished. Our motherland was defeated. Our university had collapsed and classrooms were reduced to ashes. We, one by one, were wounded and fell. The houses we lived in were burned down, the clothes we wore were blown up, and our families were either dead or injured. What are we going to say? We only wish never to repeat this tragedy with the human race. We should utilize the principle of the atomic bomb, and go forward in the research of atomic energy contributing to the progress of civilization. A misfortune will then be transformed to good fortune. World civilization will change with the use of atomic energy. If a new and fortunate world can be made, the souls of so many victims will rest in peace.